This site is supported by Ron Perrin. 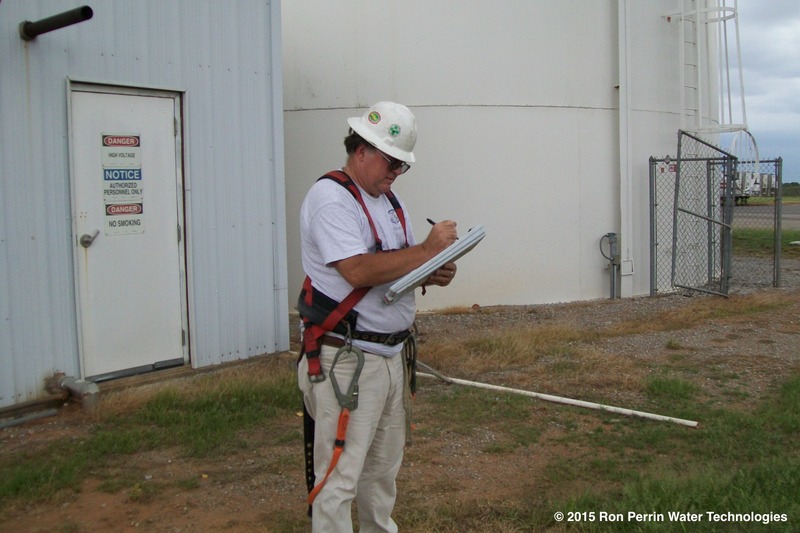 Since 1997 my company Ron Perrin Water Technologies has been a leader in underwater inspection and cleaning for the water utility industry. We offer underwater inspection and cleaning services to municipal water utilities so they do not need to drain water tanks or towers to inspect or clean them. Our city drinking water comes from surface waters (lakes, rivers or streams) or ground water (well water). After the water is treated it is sent to the water storage tanks & towers where it waits to be used at your tap. Over time sediment builds up in these tanks the sediment can be a safe habitat for bacteria protozoa and even viruses. Our cleaning service is performed by Commercial Divers(also called line air because they are breathing surface supplied air on an umbilical line). They wear dry suits that completely seal them in their own environment. The diver is then washed down with a chlorine solution before entering the water supply. Once inside the water tank or tower our diver can quickly remove the accumulated sediment from the interior floor of the tank. Removing the habitat that can hide bacteria and other contamnants makes the water safer to drink and safes the utility money by reducing chlorine cost. because the contaminants are no longer growing and depleting the chlorine reserves.